We are asking for your help as the college works toward a system of better reporting for the textbook affordability efforts on campus. Educational Affairs has requested identification of course materials listed as “No Text Required”. Please select the option below that best describes the course materials for your class. All of the options below are available in “My Favorites” for all user logins. If you have any questions, please do not hesitate to contact Mel Stahl (2642) or Dale Henry (2647). Faculty plays a larger role than you might recognize in ensuring students are able to obtain the textbooks and materials they need at reasonable prices. 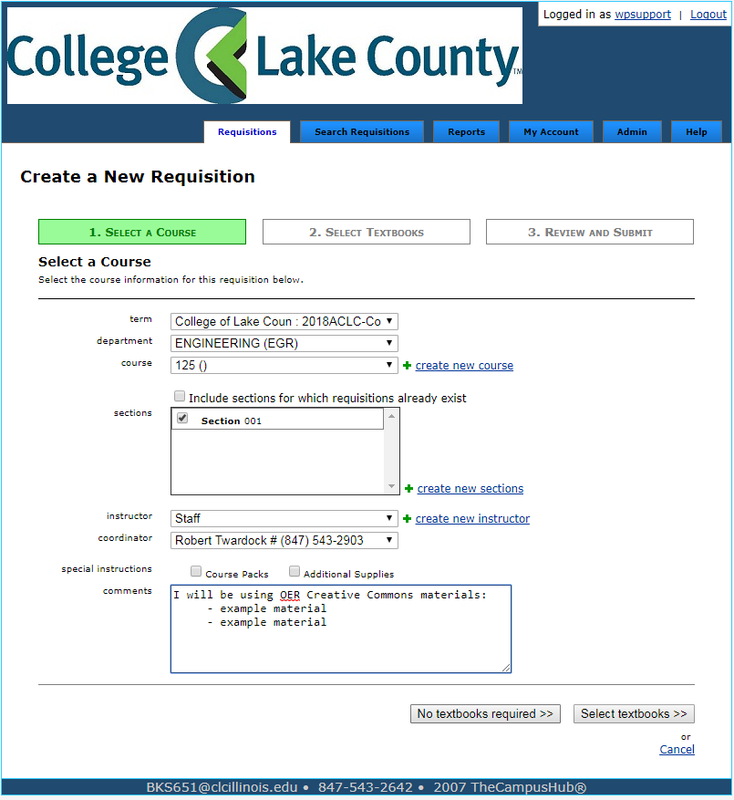 College of Lake County Bookstore relies on you, the instructors and faculty, to submit textbook lists for your courses in a timely fashion each semester. Timely lists allow us to source the correct textbooks and obtain an appropriate supply of used textbooks. We all know that more used textbooks are exactly what students want!